Also runs on Vista and XP. Nutrigenic Helper is a fully integrated professional application designed specifically for dietitians, nutritionists, anthropometrists, medical doctors and professionals that are working in the nutrition and fitness fields. Also it can be useful in the food industry fields. It is a friendly application fully affordable throughout a subscription plan system at the hand of everybody. It is a very complete and accurate weight and nutritional management system. Nutrigenic Helper can build personalized diets, make complete nutritional assessments and get valuable information from minimal anthropometric measurements. 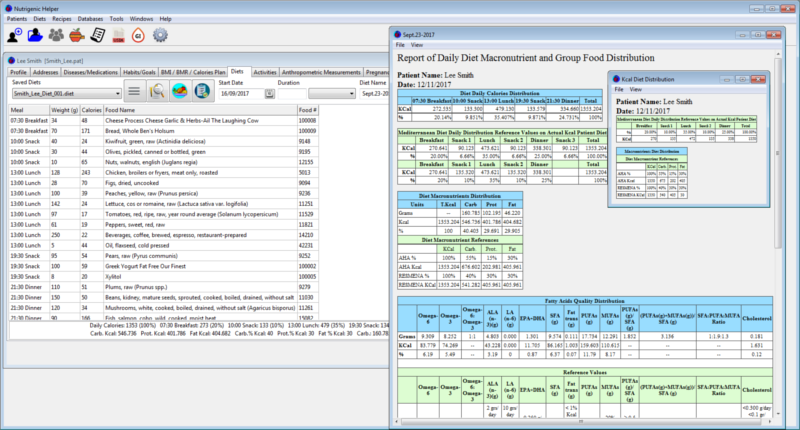 Nutrigenic Helper can get complete nutritional reports about macronutrients and micronutrients diet distribution based on the recommended daily allowance values. Also can get reports about fatty acids quality distribution on the diet and the list of the USDA food groups present in the patient diet. Click on any of the following screenshots to see them full-size. Nutrigenic Helper is useful for dietary strategies building mediterranean diets based on AHA, RESMENA and other similar diet systems. It provides useful graphical guides for building excellent personalized diets and also it is useful for building new and personalized recipes with nutritional facts label based on the FDA requirements. It is designed for managing custom personalized diets for treating, controlling and preventing nutritional health issues such as metabolic syndrome, obesity, overweight, and diseases risks associated with nutritional conditions such as diabetes and cardiovascular diseases. 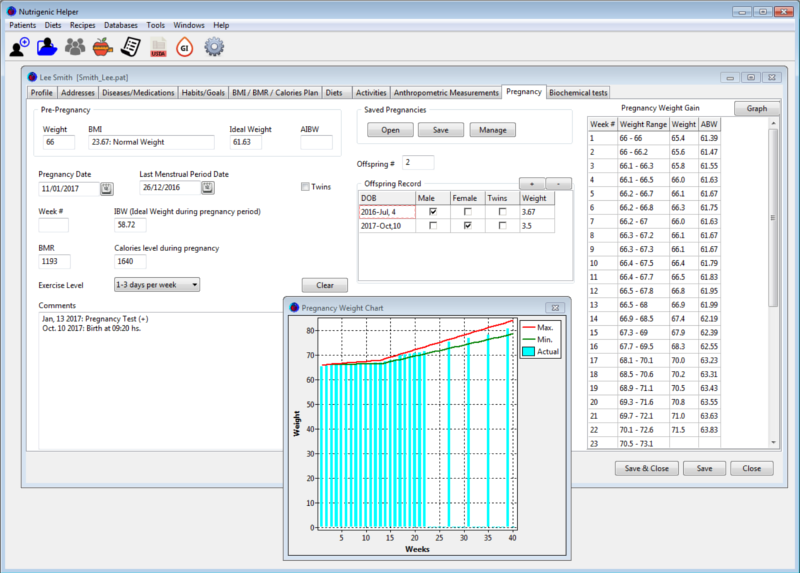 Plan calories builder and calories restriction calculations features are available as well, to manage weight gain during the pregnancy, recording biochemical tests and physical activities calculating their energy consumption. 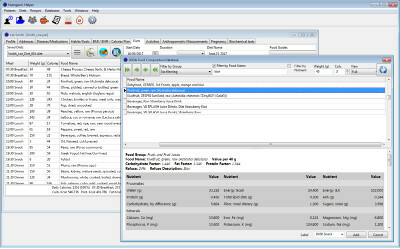 Saves recipes and diets as web pages or exports them to your Word Processor. Generates food labels, including custom ones. 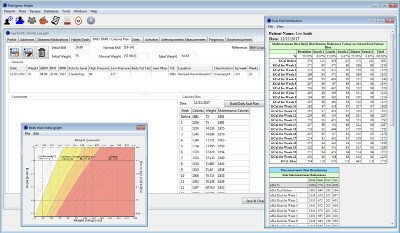 Allows to calculate Glycemic Load from Glycemic Index tables. Food pyramides guide: Mediterranean, SENC*** and USDA****. 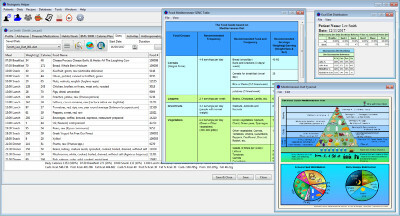 Food guide tables: Mediterranean and USDA. 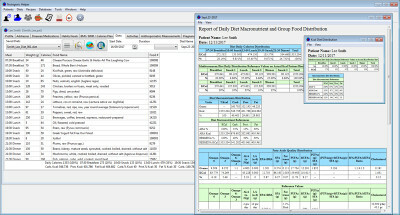 Daily subtotal and total diets kilocalories counting, macronutrients and micronutrients distribution with USDA references values. Diets kilocalories counting, macronutrients and micronutrients, and fatty acids and proteins quality distribution. 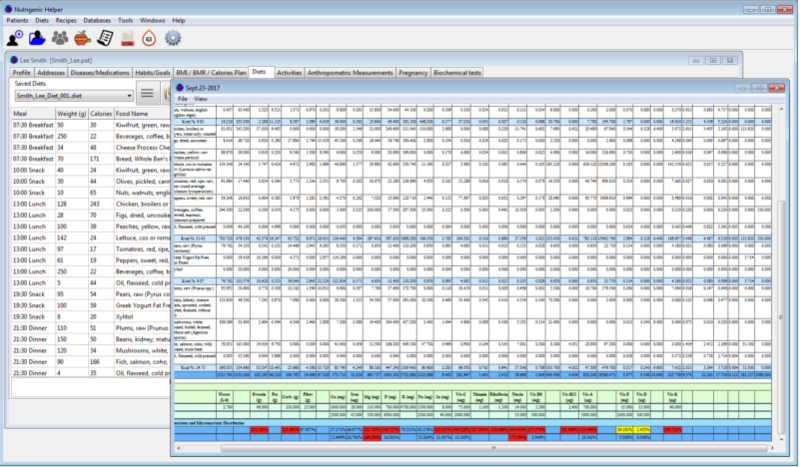 Supports basic, full and custom macronutrients and micronutrients reports. 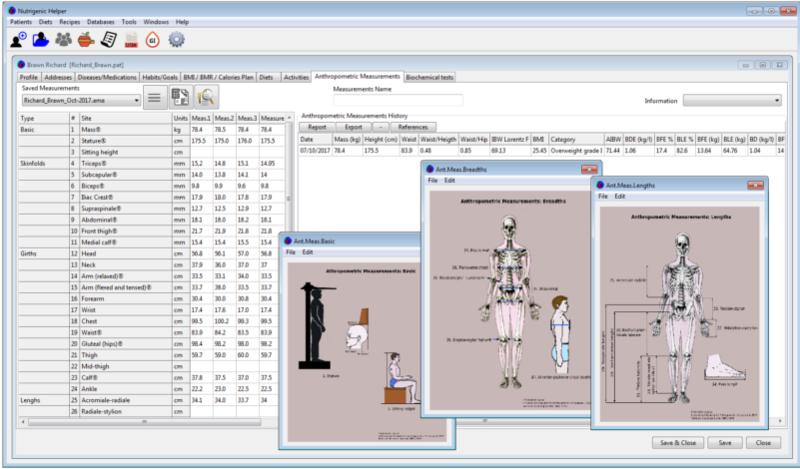 Anthropometrical calculations and report at different level of data. Creates and manage recipes with nutritional facts labels. Calculates diets with calories reduction with daily meals calories and macronutrients distribution. 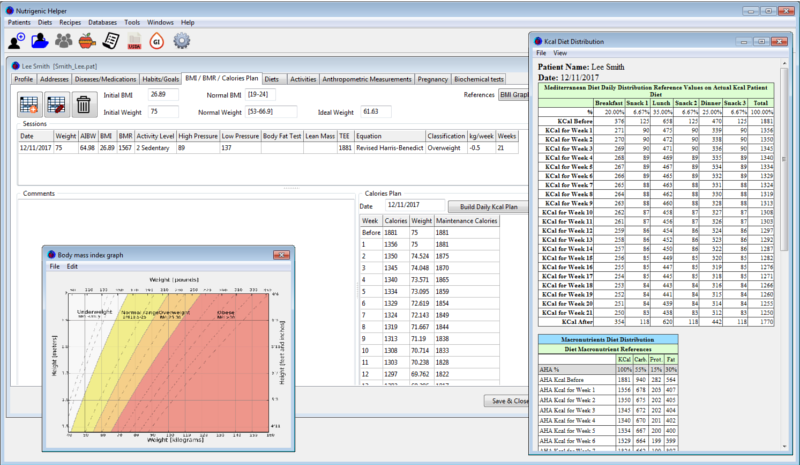 Calculates plan calories and build daily distribution calories of Mediterranean diets with AHA and RESMENA macronutrients distribution week by week. Calculates pregnancy weight gain week by week. Calculates daily and weekly calories burn of physical activities. 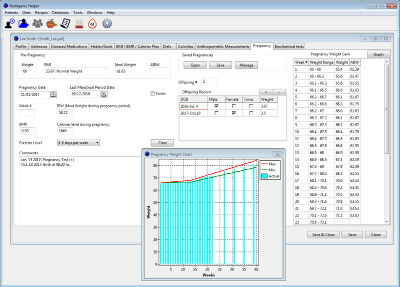 Allows to calculate personalized diets with daily distribution calories. Includes the Food Composition and Phytochemical USDA databases with capability to add new foods to the databases. 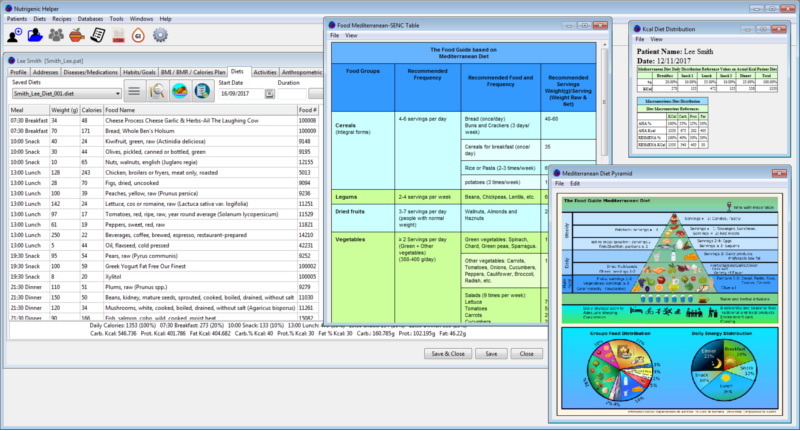 Has glycemic Index databases tables with capability to add new foods with their glycemic index. Creates and print new food labels. 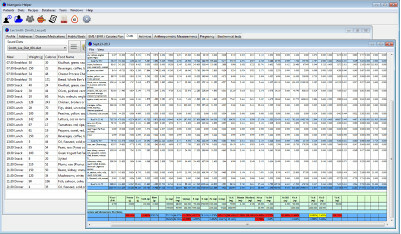 Saves data as CSV files to export to Excel and other spreadsheet software . Saves reports as HTML files. 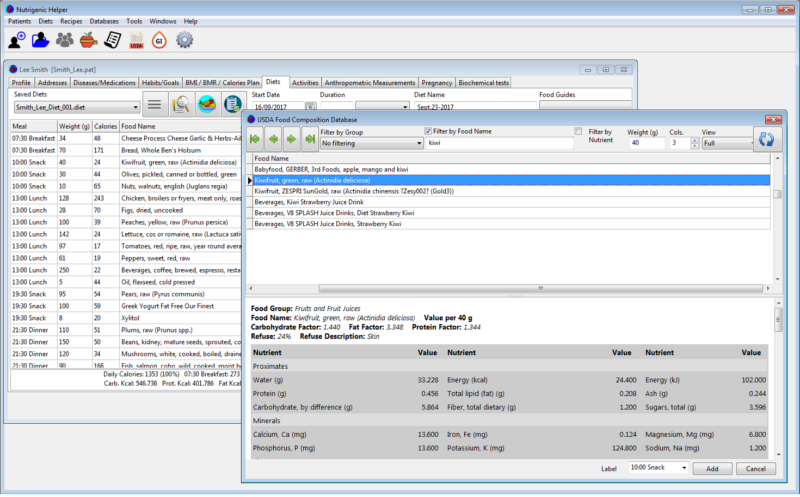 Export diets and recipes to your word processor. RESMENA: Reduction of the Metabolic Syndrome in Navarra-Spain. SENC: Sociedad Española de Nutrición Comunitaria. USDA: United State Department of Agriculture.